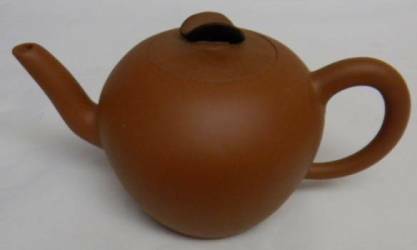 Light brown peach shaped 10 ounce Yixing teapot. The lid is in the shape of two small leaves. Arrives in a green brocade gift box.